#AskAnAuthor: Authors of Tomorrow quiz Stef Penney. Two of our 2017 Author of Tomorrow authors, Charlotte Williams and Alex Atkinson, put their questions about the world of writing to published author Stef Penney. WHO IS STEF PENNEY? In 2017, Stef Penney was awarded the Best Published Novel in our Adventure Writing Prize. 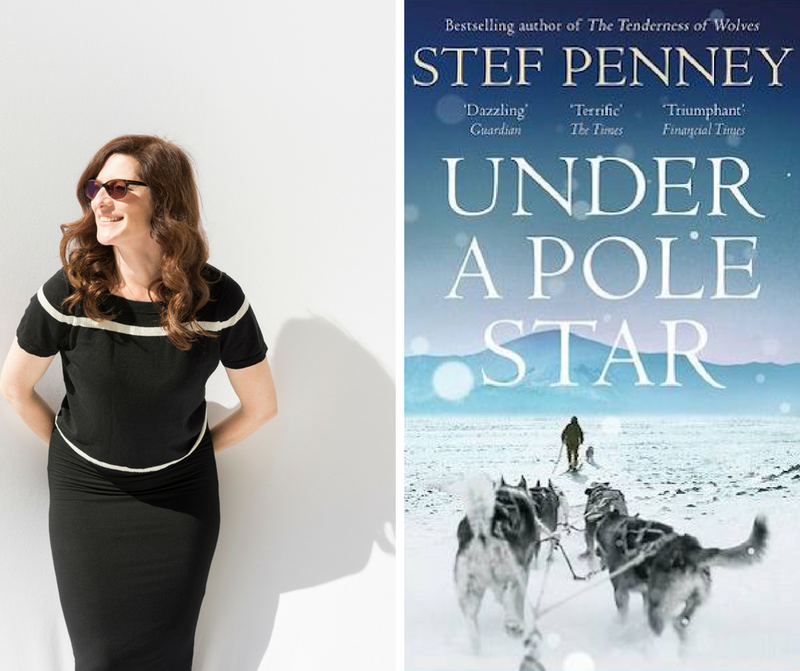 Her winning story, Under a Pole Star, is set in the Arctic in the 19th century and tells the story of the first female polar explorer. Stef is joining us on the judging panel for this year’s Adventure Writing Prize. ALEX: How do you manage your time to meet deadlines – and who sets them? STEF: I set my own deadlines, so I have to motivate myself to do the work, but this, I’ve found, is what suits me best. I don’t seem to need deadlines to apply myself – in my case, they can be detrimental to the writing. Writing a novel should never be about producing a certain number of words, it’s about the right words. CHARLOTTE: How do you immerse readers in your setting without overwhelming them? STEF: I do a lot of research over a long period which means that I’m often overwhelmed myself. To fully understand the characters, I need to know all about the world they are in – what it smells and feels like. Hopefully, once I start writing, what’s extraneous to the story falls away, and the characters dictate just what needs to be around them. I like to picture where the characters are, so I often describe a setting, but in the editing process, I tend to cut a fair amount of that description. It’s vital to be rigorous in the editing. Prose should have a rhythm and not get bogged down in detail or stuck on undigested gobbets of information. Research should be invisible. CHARLOTTE: How do you show the growth of a character throughout the text? STEF: Showing change is about the controlled release of information. You should start with some idea of where your character is going to end up, but I think a good guide is not to explain every thought they have – character and change should emerge from behaviour. Give the reader some credit – and something to do. A beautiful, masterly example of this is Kazuo Ishiguro’s ‘The Remains of the Day’. CHARLOTTE: What are some of the things you wish you’d known when you were starting out on your writing journey? I wrote my first novel after a decade of writing screenplays, so I’d had a good training in story structure and editing – and taking criticism. I’ve also worked as a sub-editor, which is a very useful skill in sharpening your prose style and cutting out flab. ALEX: Do you ever lose interest with what you’re working on and want to start again? STEF: Well, I haven’t so far… But I don’t start something unless I’m really passionate about it, and I tend to get more engrossed in a world the more I learn. If you do your research, then you should know if you care about the idea and characters enough to see it through. ALEX: What would you do if, halfway through writing one book, you get a great idea for another? STEF: This always happens – if it didn’t, I’d be worried. I give thanks, put it on the back burner and keep going. Ideas need time to mature. CHARLOTTE: What are your top tips for an aspiring author? STEF: Edit, edit, edit. Don’t elaborate. Don’t say one thing in different ways – choose the best way. Be precise. Cut out adverbs. Be ruthless!